Vaping has a rich history dating all the way back to the 1930s, and in the 1960s, Herbert A.
cigarettes or for non-smokers, simply a way to relax and unwind. Vaping and the devices used can seem intimidating at first, but you will find that they are very straightforward once you comprehend their basic elements. Regardless of style, all vaping devices create a vapor for inhalation using the same basic components. Electronic cigarettes, as well as larger vaping devices, are very similar and contain the same main components. 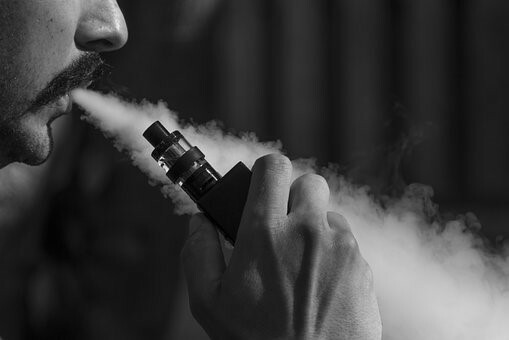 The main components of a vaping device are the power element which contains the battery and a storage reservoir which contains the e-liquid, often referred to as the tank. Inside the reservoir holding the e-liquid is something called the atomizer. This atomizer is essentially a wire wrapped around a wicking material. This wire and wick combination is referred to as the coil. The wicking material is utilized to soak up the e-liquid and pull it to the coil, and the coil will then begin to heat the liquid and turn it into a vapor. The first designs of simple vaping devices are called “cig-a-likes”. This is due to its visual similarities to a traditional cigarette. They consist of a small battery and a non-refillable device. As time has gone on, the demand for various options has increased. As knowledge on vaping has evolved, the look and features of these vaping devices have changed dramatically. With newer technology, refillable tanks are available, larger batteries allow for longer use, and the flavor selection of e-liquid is massive. The most advanced vaping set up will allow the user to adjust the voltage and wattage to fully customize the vaping experience. This all means more control for the user, which in turn means a more enjoyable vaping experience. While each device is similar, they do have their own set of unique features. There are three main types of vaporizers available- disposable e-cigarettes, vape pens, and box mod vapes. Disposable e-cigarettes are the easiest and cheapest way to vape. There are various companies that have designed all-on-one vaping units that are thrown away once the battery is depleted. There are also replaceable units that allow you to recharge the battery and change the cartridge that contains the e-liquid along with the wick and heating element. This is the next step up from a normal e-cigarette. A pen-style vape contains the same main components as a e-cig but usually feature changeable mechanisms. This allows you to change the heating coil, tip of the unit and the tank depending on your customization preference. These devices are more powerful than a traditional e-cigarette. In addition, they will produce noticeably more vapor and are rechargeable, usually by using a USB charger. These types of vapes are great, however, some people prefer a stronger throat hit or more airflow. For this reason, you might be more interested in a device that features more advanced options. A box mod is one of the most powerful types of vape devices. As a result, these are recommended for individuals that are already experienced with vaping. The larger batteries in these vapes allow you to control the overall power of the device. A higher production of power means the coil gets hotter, this has direct consequence on the temperature which affect the amount of vapor produced, the strength of the throat hit as well as the overall flavor. These vapes typically feature a large battery and changeable features. The box mod vape is the best choice for those who are seeking the most control. These vapes offer the user the ability to regulate the temperature of the heating element. In addition, these devices allow for wattage control as well. With a higher wattage the vape powers up much quicker and gives a better throat hit. Another great customization option with a box mod is the ability to change out atomizers. Different atomizers can change how much flavor or vapor the user receives as well as how much liquid can be held inside. 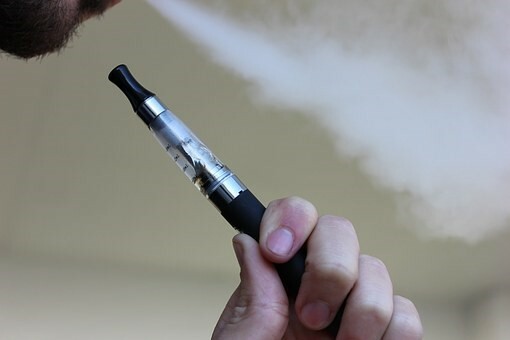 E-liquid is generally made up of propylene glycol (PG), vegetable glycerin (VG), natural and artificial flavors and, sometimes but not always, nicotine. Choosing an e-liquid can be one of the most important decisions you make when vaping. This is because the flavor and nicotine content are two of the main components to the satisfaction one receives when they vape. If the flavor or nicotine content does not work for you, you will not receive the same enjoyment from vaping. When vaping to stop smoking, this can be detrimental to success. Therefore, choosing an e-liquid that you love is very important. First, you will want to understand what an e-liquid is made of and what features different categories of liquids can offer you. The base of any e-liquid is made up of vegetable glycerin (VG) and propylene glycol (PG). The proportion of VG to PG is frequently shown to consumers on the bottles of e-liquid as these proportions can alter how the juice tastes or how dense of a vapor it will produce. A vape liquid that is made with a higher propylene glycol ratio will produce a stronger throat hit, which is the feeling in the throat and lungs, characteristically accompanied with smoking a regular cigarette. Propylene glycol vaporizes at a lower temperature compared to vegetable glycerin and is thought to deliver more intense flavor. On the other hand, an e-liquid manufactured to contain a higher vegetable glycerin content creates a subtler throat hit and is much smoother in comparison. Higher vegetable glycerin content in an e-liquid creates much more vapor, which results in bigger clouds of vapor, which you may find to be entertaining. For some, this is more important than flavor, while others want a truly enjoyable flavor over large vapor clouds. Varying ratios of VG and PG will allow the user to truly customize their vaping experience. The most commonly available strengths of nicotine come between 0mg up to 18mg although some vape liquids contain even more nicotine than this. Traditional cigarettes usually contain 18 mg to 20 mg of nicotine, but only about 1mg of that is absorbed by the human body. The nicotine strength of an e liquid is occasionally listed in percentages, but usually it is shown as a mg per milliliter ratio. In addition, the more nicotine present in the liquid, the more powerful the throat hit. The amount of nicotine the body can absorb is highly dependent on how much vapor your device is producing. Generally, a smaller device will produce less vapor than a larger device. If you are using a cig-a-like or other small device, 12mg of nicotine is likely enough. However, if you are operating a larger device that produces more vapor, a lower concentration of 6mg or even 3mg might be more appropriate. The important thing is to fine-tune the nicotine level to the strength that you feel is the best for you personally. There are countless flavor options available for purchase. In truth, the only way to work out what flavor or flavor combinations you like is to try them. You may be overwhelmed at first, however, considering the flavors you enjoy in your everyday life can help you decide on the first few flavors to try. Also, many vape shops offer the chance to sample flavors that they carry. This can help you find the right flavors for you! Finding the vape system and set up that is right for you depends strongly on the amount of money you are willing to invest to begin vaping and the quality standard that you will require. Some people enjoy the boundless amount of customization options from a more advanced system, while others just want a simple plug and go system. For the best performance, you should look for something with an adjustable power and wattage settings. An added benefit to a more advanced system is the majority of vape products are compatible. This makes it easier to upgrade your device once you acquire a basic setup. You can progressively upgrade your batteries and e-liquid tanks until you customize the setup that works the very best for you. Overall, the best idea is to start with an easy-to-use device that you can become familiar with before moving on. With time, you may want to upgrade to something more advanced, but starting with a user-friendly set up first will ensure your vaping experience is an enjoyable one.